Multiple Sclerosis (MS) is an autoimmune disease, one in which your immune system attacks your body's own tissues. With MS, the tissue under attack is the central nervous system, or more specifically myelin, the protective coating that wraps around nerves. When myelin is damaged it disrupts the normal communication between your central nervous system (brain and spinal cord) and the rest of your body. This can result in muscle weakness, spasms, and a lack of coordination and balance that sometimes makes it difficult to walk or stand. MS patients often experience vision problems, cognitive impairments (typically memory loss and problems concentrating), as well as pain and sensations of numbness, burning, and prickling (neuropathy). MS most often strikes adults in their 20's to 40's causing disability that ranges from mild to very severe. When MS attacks come and go unpredictably, it is called relapsing-remitting MS. The cause of MS is unknown and there is no cure. Relapsing-remitting MS is commonly treated with prescription drugs in an attempt to manage various symptoms, reduce the frequency and severity of attacks, and slow the progression of the disease. These medications can include immuno-suppressants, immuno-stimulants, interferons, muscle stimulants, and glucocorticoids (steroids). They cannot cure MS, but they can be very helpful to many people. Like all medications, however, they come with side effects that include nausea, vomiting, diarrhea, liver damage, hair loss, and recurrent or persistent flu-like symptoms. More importantly, some of these medications can make you more susceptible to dangerous infections. 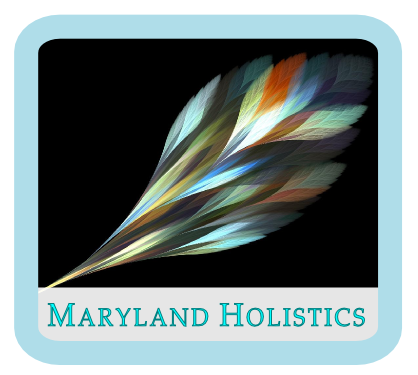 At Maryland Holistics, we offer acupuncture and natural care options that can help you better manage the symptoms of MS. Acupuncture, for example, is a complementary treatment therapy that many MS patients have used to relieve or reduce a variety of symptoms. Very few clinical studies have investigated acupuncture's effectiveness specifically for MS. Many studies, however, have shown that it can reduce symptoms such as fatigue, chronic pain, insomnia, neuropathy, spasticity, and urinary incontinence in patients who do not have MS.
Acupuncture can also reduce the stress, anxiety and depression that it so often experienced by people with MS, and promote a deep sense of well being. Unlike prescription drugs, acupuncture is virtually free of any side effects when performed by an experienced practitioner. The National Institutes of Health (NIH) has concluded that acupuncture is remarkably safe and can be considered a reasonable treatment option that warrants further study to better understand how it achieves its positive effects. In addition to acupuncture, we will also review lifestyle issues that bear on your overall health and well being. In addition to acupuncture, we offer expert advice on diet and nutrition, the right amount of exercise, work/life adjustments, meditation, and other stress reducing therapies. We believe these are critical factors in managing the symptoms of MS as part of an overall medical treatment plan that can help you reach your personal goals.